An easy worksheet related to music. A good way to start working the vocabulary. 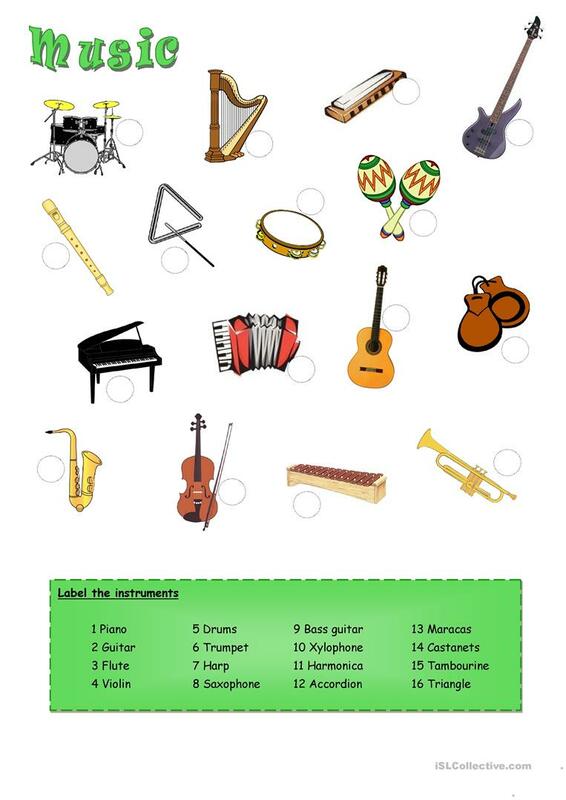 Students should read and mark with the correct number each instrument. This printable, downloadable handout is best suited for elementary school students at Beginner (pre-A1) and Elementary (A1) level. It was designed for developing your learners' Reading skills. It is about the theme of Music.